SPREAD the WORD!!! 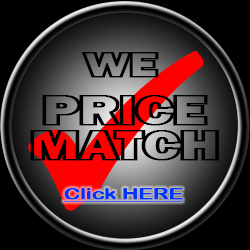 DENNY'S has the BEST PRICES on Driveline Parts! 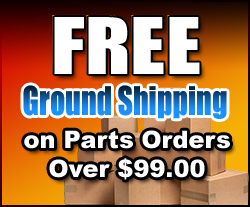 FREE SHIPPING* - All orders received where the customer has selected "Free Shipping" will be shipped by the carrier of our choice. We use UPS, USPS and FedEx. Check us out in your past and present issues of most of the popular automotive magazines. Over the years we have done a vast number of driveshafts that have been featured or used in various projects and tech articles as well as cars and trucks owned by you the readers. Our products and driveshafts have been seen on many television shows such as our good friends at Powernation RTM Productions Trucks, Truck Tech, Extreme 4x4, Horsepower and Stacy David at GEARZ. Also in magazines such as Hot Rod, Car Craft, Chevy High Performance, Super Chevy, Rod & Custom, American Rodder, Goodguys, Street Rodder, Custom Trucks, Mopar High Performance, Mopar, 4X4 Off Road, Mustangs & Fast Fords, 4 Wheeler, 4X4 Power, Kit Car and many more. Our success is because we have worked very hard to give you rock solid deals on auto and truck parts and because we produce the best driveshafts for the money for our valued customers. Those facts have made our reputation legendary on the street, race tracks and on the internet. We have to thank you for all the good word and for writing all the positive and complimentary pieces that we have found about us on the world wide web. Maybe this is why we have become the first choice in driveshafts with all the street and race enthusiasts worldwide! Denny’s Driveshafts has grown to be a leader in Steel and Aluminum driveshafts for your High Performance Street Rod, Race Car, Van, Pick up or 4X4 truck... for a number of very good reasons. Our relentless attention to detail....not only in the selection of materials, but also in the workmanship that goes into its construction means it will perform best for you. Strength, Reliability and Smooth Vibration Free Performance is what you can expect from one of our driveshafts. Also our ability to HIGH SPEED - HIGH RPM BALANCE and TEST your driveshaft, to 10,000 RPM if needed, allows us to be sure that you will be pleased with its performance right out of the box. This is PRICELESS when it comes to CUSTOMER SATISFACTION. Remember most driveshaft shops only have low speed balance equipment. This may not be good enough for your application! When shopping for a driveshaft always ask the question. What rpm will they balance your driveshaft to? You’ll be surprised just how low it is! We are a true high performance and racing driveshaft builder that knows what it takes to keep it all together when you need it most. We concentrate our efforts on ONE product line and we do it best. We stand behind our 42 year reputation (April 2018 will be our 42nd year) by telling you that “If you ever twist our Heavy Duty or Nitrous Ready tubing or break our steel welds... Replacement is FREE” no joke, no kidding, no bull. We also offer you Free Lifetime Labor for most of your future alteration and maintenance needs. When you select a high performance item, such as a driveshaft, it is MOST important that you understand that all driveshafts are NOT created equal. Make your decision by judging quality not price. Thank you for choosing Denny’s Driveshafts for your next purchase... you WILL be glad that you did. Select from the list of car manufacturers to find Driveshafts, Transmission Slip Yokes, Pinion Yokes, Universal Joints, Attaching Hardware and more for your Chevy, Buick, Oldsmobile, Pontiac, Ford, Mercury, Lincoln, Jeep, Plymouth, Chrysler or Dodge car or light truck.